The global sinus dilation devices market is expected to witness an aggressive growth during the forecast period 2018 – 2028, owing to rise in healthcare expenditure particularly in the developed countries as well as in emerging countries. Emerging economies to play a vital role in the growth of the market. Growing inclination towards minimally invasive treatments in regions such as Asia Pacific to augment market growth over the tenure period. Sinuses are hollow sacks present in heads which are responsible to secrete mucus and prevent nasal cavity from drying. However at times, the opening of sinuses is blocked, thus trapping the mucus in the sinuses, causing congestion, inflammation of the sinus, and headache. Rise in adoption of minimally invasive surge in developed countries along with developing countries is likely to provide a significant boosts to the market due to lesser hospital stays and less recovery time. Increasing cases of sinusitis all across the world is anticipated to provide extra momentum for dilation devices market. Sinusitis not only affects adults, as major population in the U.S who are under the age of 18 years face severe sinusitis. Rising cases of chronic sinusitis is foreseen to provide a new scope for players present in the market. Apart from these, rapid advancement in technology is helping the manufacturers come up with new devices like balloon sinus dilation systems. This is likely to provide an extra boosts to the market growth. Balloon sinus dilation system is likely to be preferred more by physicians as this devices are less invasive and more effective. Growing initiatives by government of various countries, particularly developing countries to develop healthcare infrastructure is anticipated to bode well with the market growth. Rise in investment to develop new market devices to propel sinus dilation devices market growth. 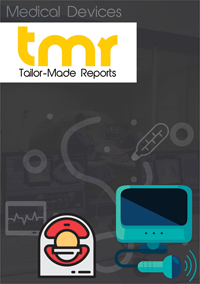 However, keeping aside the drivers, the sinus dilation devices market is confronted by several restraints which are likely to hamper market growth. Rise in intake of prescription drugs such as decongestants and antibiotics to treat sinusitis is likely to dissuade users from adopting sinus dilation devices. Recently, Intersect ENT, a major player in the sinus dilation device market announced the launch of SINUVA sinus implant. The company mentioned that this will be a new way of treating nasal polyp disease in patients who are adults and already had sinus surgery. This is a new in-office treatment which promises to reduce symptoms of nasal congestion and polyps. On the basis of region, North America is anticipated to dominate the global sinus dilation devices market. Presence of major players in the sinus dilation devices market and their efforts to expand their product portfolio is favoring the region to grow exponentially. However, it has been noticed that Asia Pacific is predicted to exhibit fastest CAGR over the tenure period owing to growing cases of sinusitis in the region. Rise in preference for adopting sinus dilation device is also favoring the region to grow. Some of the major players in the sinus dilation devices market are Enetellus Medical, Inc., SinuSys Corporation, Medtronic PLC, Acclarent, Inc., and Olympus Coporation.